Yacht Delivery Spain! The fantastic looking new Jeanneau 57 fresh out the yard! Upon arrival to First Charge I was very impressed by her Superyacht esque styling. Wide and spacious decks. The interior is equally as impressive. She had all the mod cons you would expect for yacht of her price tag. There were a last few tiny niggles to sort before departure. We set off under full sail, charging along at 9kts. She handled beautifully for a big cruiser, thanks to a good sized rig and brand new sails. The in boom furl takes a bit of getting used to when reefing, finding the right kicker height is vital. But a couple of careful trial reefs and we had the system sussed. helmstation (a nice feature), however I immediately heard the Genoa sheet tightening. THATS NOT RIGHT I thought. So quickly turned the nav lights off and let fly the sheet. I carefully tested the nav lights again this time with no tension on the sheet and discovered the nav light switch was powering up the electric furler! Greece doesn’t have the same level of service and accessibility as Palma de Mallorca so we motored into Palma. The owner was happy with the decision as the broker had an agent in Mallorca that could arrange an Engineer to come look into the issue. Even with high level of services in Mallorca it would take a week plus to get an engineer due to public holidays. The owner decided to halt/delay the delivery until the engineer was happy her teething problems were sorted. Palma would be the last convenient opportunity to have any work done. 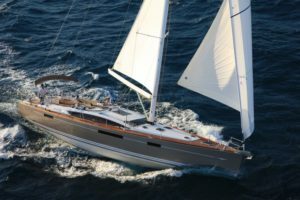 Upon completion of the works the owner Derek had a chance to take off work and sailed her as far as Palermo in Sicily, along with a crew member supplied by Thumbs Up, Larvell Gisby. After Derek flew out of Palermo I re-joined First Charge with co-owner and wife Louise on board. We departed shortly after arrival and a few more minor repairs. (The spectra Vang line had chaffed and snapped on the way to Palermo) I sourced a shackle that was shorter, re installed and we were ready to go! We were very happy taht First Charge was now firing on all cylinders. Both under sail and Motor she was very amply equipped to make great progress. We averaged 8-9kts for the duration of the journey. Getting up to 12kts through the Straits of Messina. The rest of the journey was very relaxed with light breeze and a lot of laughs. I was glad to get First Charge to Corfu in perfect nick (and in reality working better than when she left the yard!) She was now thoroughly sea trialled and ready for her owners to enjoy over the Summer. Many thanks to Derek and Louise and of course my various crew members. Larvell Gisby, Ivan Draper, Phillipe van Eysden. 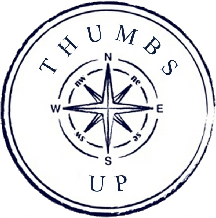 If you need someone flexible and reliable who is going to do there best to keep costs down them Matt Kotzé of Thumbs Up Sailing should be your skipper of choice. He has delivered two boats for me this season. The first from Gocek in Turkey to Barcelona. This was a text book delivery on time and no risks taken. The boat was left immaculate, and they had to deal with getting it in the water and putting sails on and checking all the systems and all the Turkish regulations. The second was to help me get a brand new 57 foot yacht from Barcelona to Turkey. Whilst this was fraught with problems due to technical issues Matt made all the right calls and was flexible to change plans whilst we got the gremlins sorted, and he worked hard to organise crew and keep the costs down. He treated the boat as if it was his own. I would not go to anyone else for either delivery or assisted passage making. I even entrusted him with my wife as crew, and she learned lots and felt comfortable and confident throughout.